Our Grantham Farm class is for children from 4 to 7 years old. In traditional education terms this is Year R–Year 2. Children move into Grantham Farm from the Children’s House or from other nurseries and schools. Admissions are taken on a first-come first-served basis and are subject to children attending two introductory mornings. To visit Grantham Farm, please contact us. Children learn in a mixed-age class that supports the interests of each child as an individual. Children are not separated into groups according to ability, as in some traditional methods, but are encouraged to work independently or in groups. This way of teaching children develops an atmosphere of equality and working together; self-confidence grows as a product of the ethos. Class sizes are small with a maximum teacher/child ratio of 1:10, to which we are wholeheartedly committed. Our teachers are Montessori-trained, hold Qualified Teacher Status and are supported by specialist dyslexia teachers, meaning we are able to give targeted support where needed. 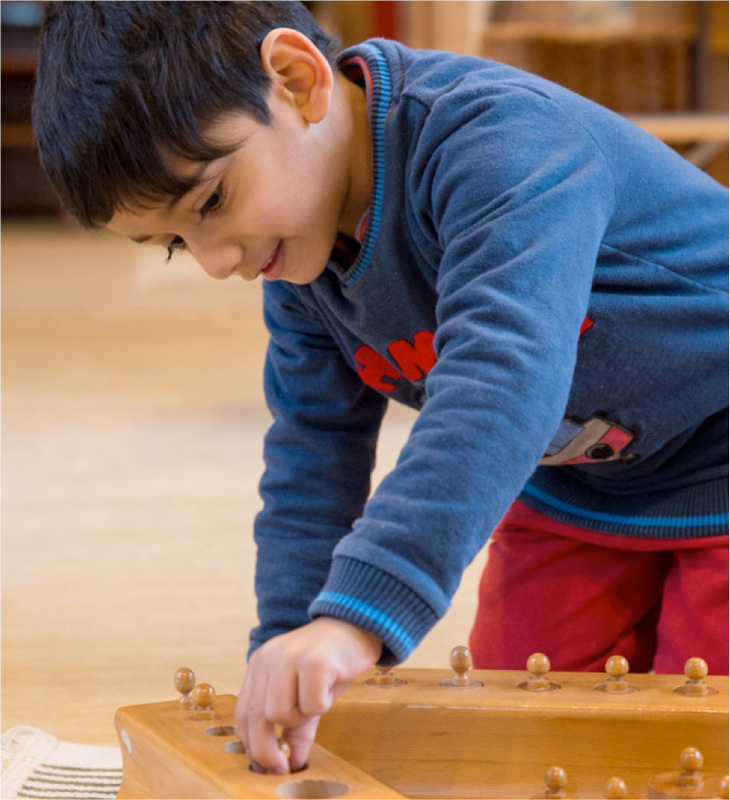 Our Montessori primary curriculum allows children to continue to self-resource, following every child’s natural curiosity and innate desire to learn. Children are involved in planning their own learning in collaboration with the teacher. In doing so Grantham Farm children regularly exceed national standards. When a love of learning is fostered in a child, there are no limits to what children can achieve in their own way and time. An appreciation of the expressive arts is developed through music and drama classes with our professional music teacher; private lessons on a preferred instrument are also available. We have an active sports programme, professionally taught by a children’s sports coach. Children also learn French, yoga & mindfulness. We have a proven track record of supporting children who come to Grantham Farm from other schools, either because they have moved into the area or because another school was not the right place for them. If you are considering the Montessori primary route for your child, please contact us – we would be delighted to show you our school. Where to after Grantham Farm? Children transition to one of many local schools both independent and local authority. Transitions are discussed on an individual child basis to find the best-fit next school.